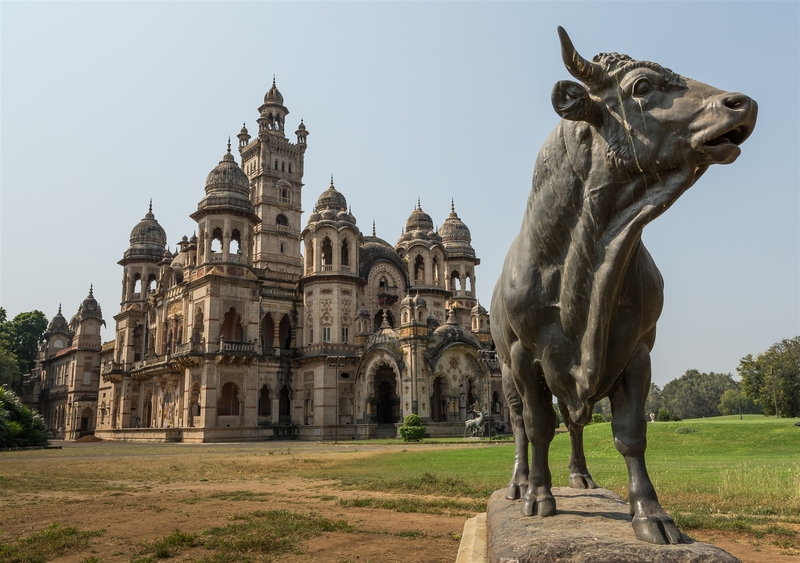 Baroda, also known as Vadodara, lies 140km from Ahmedabad in the state of Gujarat, it takes about two hours to get there on decent roads. 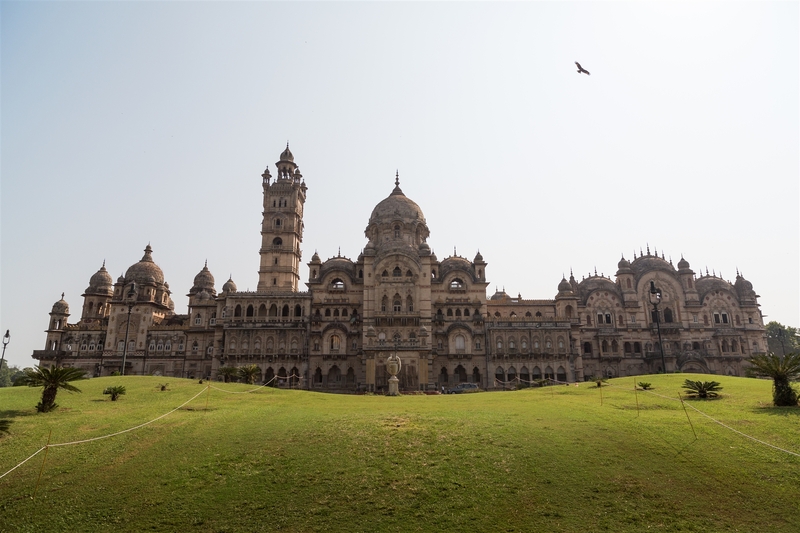 The city is most famous for the Lakshmi Vilas Palace, which is reputed to be the largest private dwelling ever constructed. 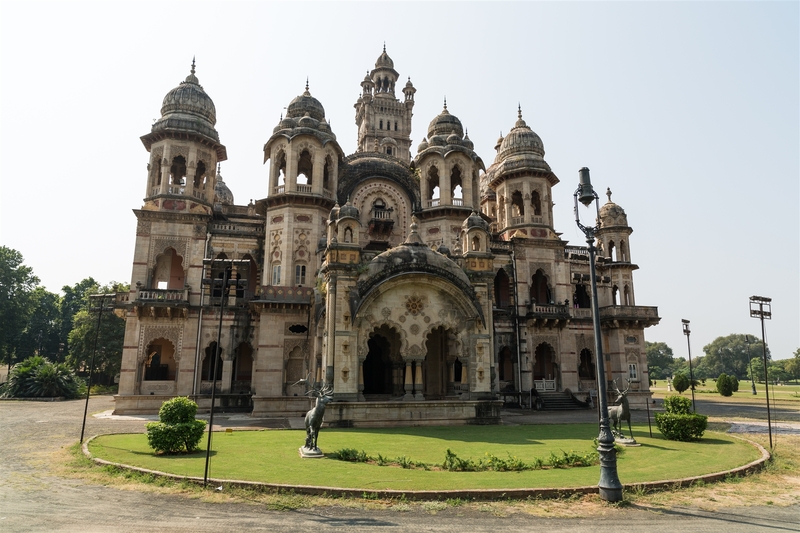 It was built by Maharaja Sayajirao Gaekwad III in 1890 with Major Charles Mant as the chief architect. Upon arriving you don’t really get a sense of the scale of the building as you approach it from he rear. Head to the front, and the full expanse of the building opens up before you. It’s massive, four times the size of Buckingham Palace ! At the time of construction the palace had modern amenities such as elevators and the interior is very much reminiscent of a large European country house. Clearly no expense was spared in it’s construction. 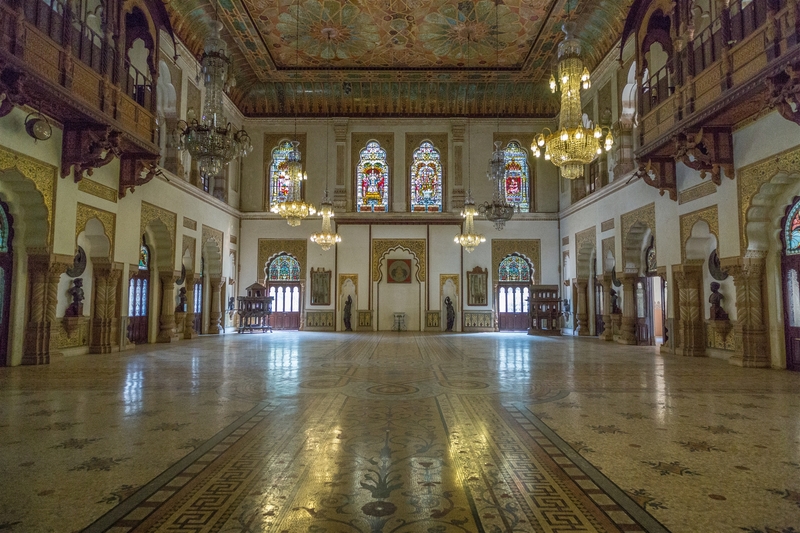 Its ornate Darbar Hall has a Venetian mosaic floor, Belgium stained glass windows and walls with intricate mosaic decorations. You can take an audio tour around part of the house which is well worth doing, adding context to the remarkable collection of old armory and sculptures in bronze, marble and terracotta by Fellici. I also read somewhere that this building contains the largest amount of stained glass to be found anywhere in the world, much of it imported from England. The Palace “compound” covers over 700 acres, but you can’t explore much of the grounds thanks to a modern golf course. The whole place has an extremely eccentric feel to it, I can only imagine what it was like in it’s hey-day. 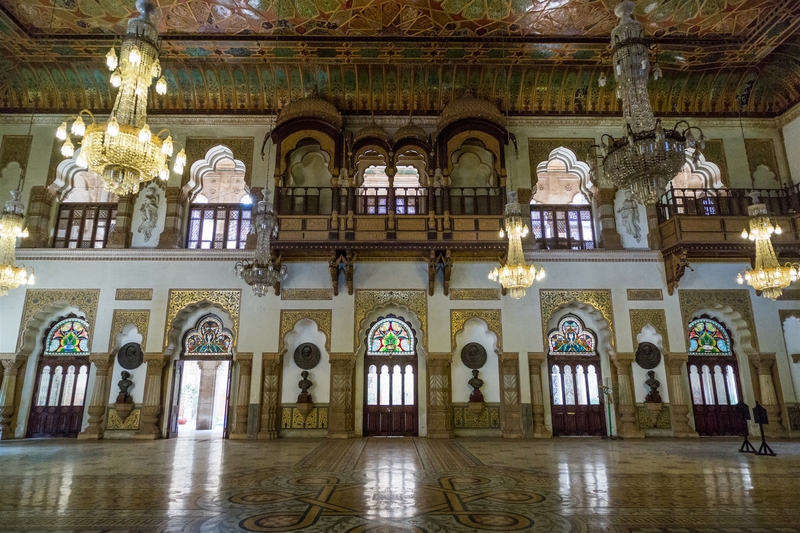 The Maharaja even constructed a miniature railway line, which circled the mango orchard within the palace compound, to take his children from the school to the main Lakshmi Vilas Palace. The palace also boasted a small zoo. The only remnant of the zoo is the pond where a number of crocodiles remain. It took twelve years to build the palace, at a cost of £180,000 – goodness knows what the equivalent cost would be today. Major Charles Mant, the designer, is reputed to have gone mad and killed himself when he mistakenly believed he had made a serious architectural error. The grounds were landscaped by William Goldring, a specialist from Kew Gardens. 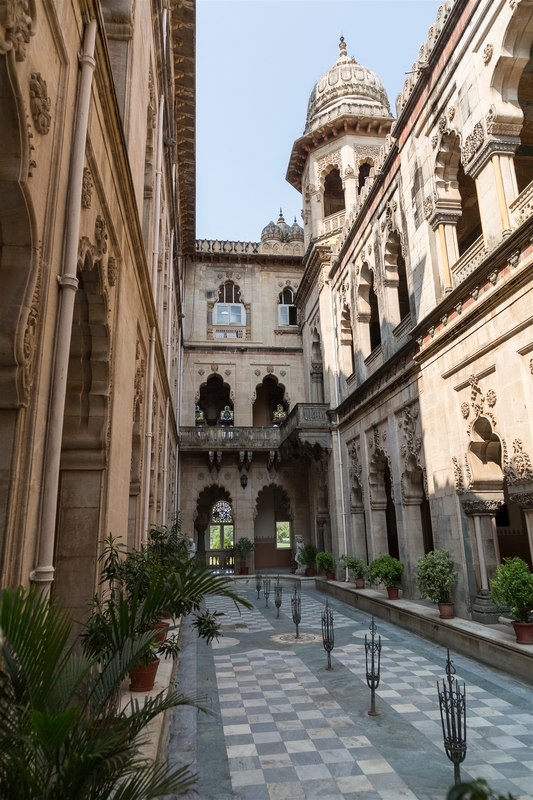 The Laxmi Vilas Palace is open 9.30am – 5pm, Tuesday – Sunday. 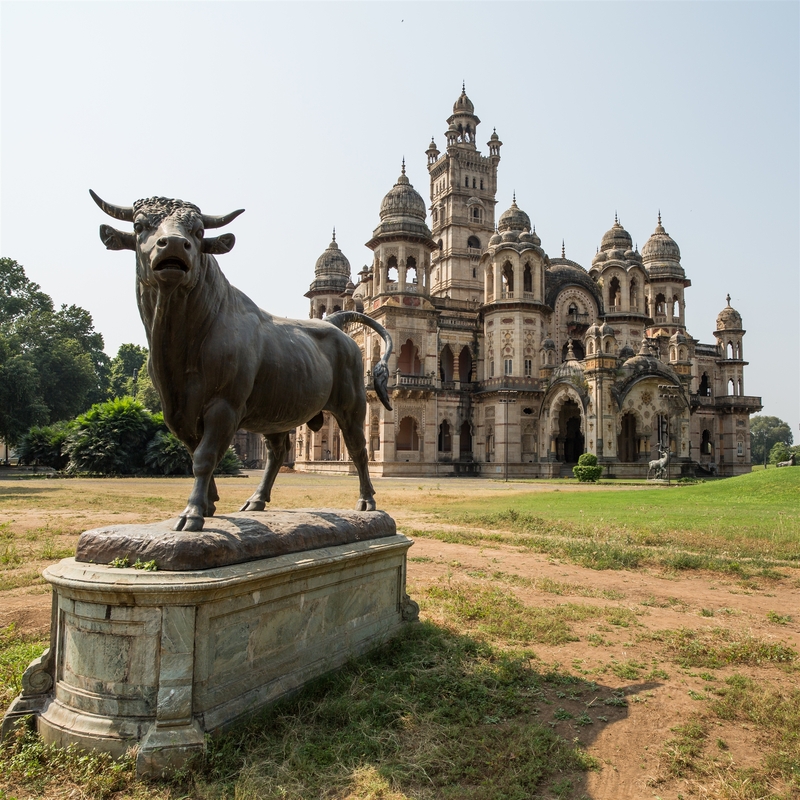 Can you comment on the lesser known structures of Vadodara, please like the vadas of the nobility ?